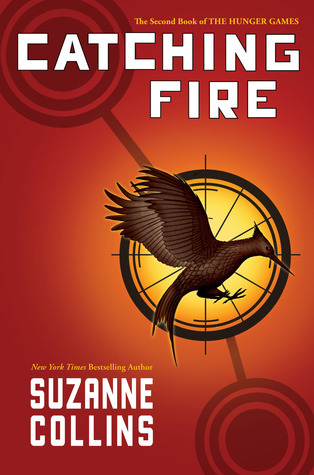 Catching Fire is the second book in The Hunger Games Trilogy and it is ever bit the page turner as the first! The Hunger Games, the first book in the series was published in 2008, Catching Fire was published in 2009 and the last book in the series, Mockingjay was published in 2010. I am so glad that I did not read The Hunger Games when it was first published! I do not know what I would have done if I had to wait a year to see what was going to happen to Katniss, Peeta, Gale and the other colorful characters living in District 12. Catching Fire picks up right where The Hunger Games end and that is about all I am going to tell you. It is a fast paced, exciting read and has a little bit of everything in it.Action, mystery, intrigue, love, and politics! Seconds after I finished Catching Fire I downloaded the final book in the series, Mockingjay and my Kindle tells me that I have already read 45% it! I am not looking forward to finishing the last book. I am enjoying them way too much. I feel exactly the same way about the Hunger Games trilogy; I could NOT put them down once I’d started them! Are you looking forward to the movie, too? Hi Sarah! I can hardly wait to see the movie, which is really shocking because this is not normally the kind of story I enjoy reading or watching! Thanks for blogging with us!